Horrible vis at Hawthorne Reef. One of my better dives. We checked conditions from Redondo Beach to Marineland this morning. Pt. Vicente had nice visibility, but a strong current. Marineland had dirty green water, so we turned around and tried Hawthorne Reef. When I reached the bottom I could barely see the reef. Visibility was three feet, the worst I have even seen there. I was going to head back up but had to move my anchor first. The chain was tangled among the cracks. In the poor vis, it took me nearly 800psi to free the ground tackle and move it to the sand. I decided to stick with the dive rather than have a short tank for my next dive. 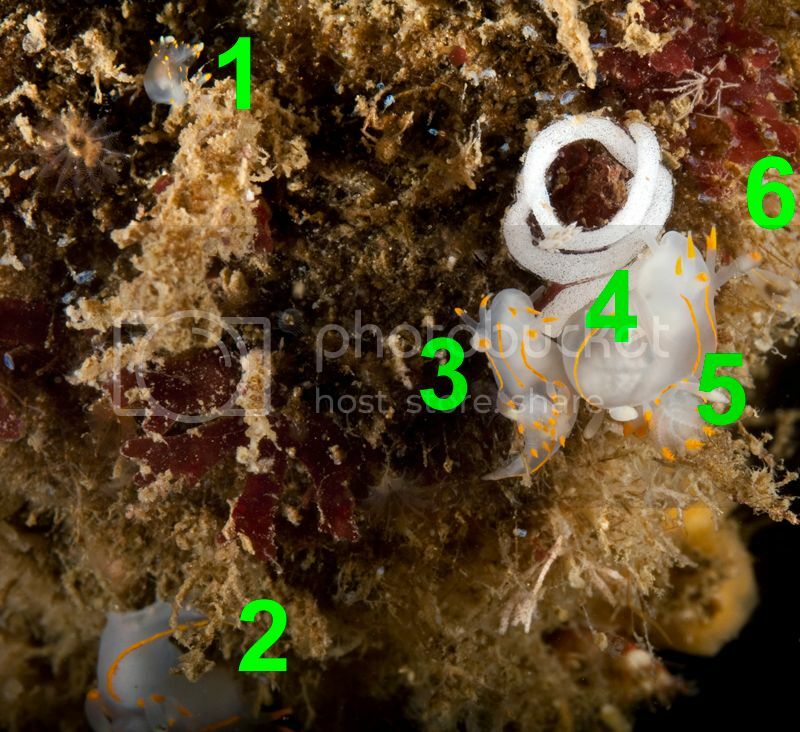 On one of my recent dives at Hawthorne Reef I saw Kevin Lee photographing something small near the large pinnacle we usually anchor near. It turned out to be an Ancula gibbosa. I had only seen one before and didn't get a decent image. My plan was to look in the same area and hope for the best. 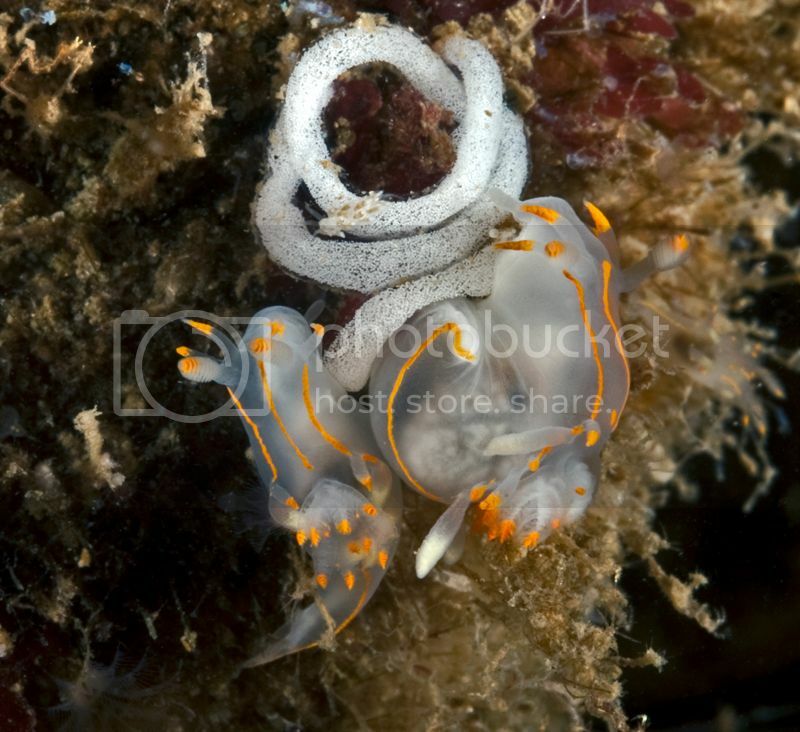 For most of the dive I found the usual snails, nudibranchs and worms. I was about to head for the anchor when I spotted a small white dot a few feet away. 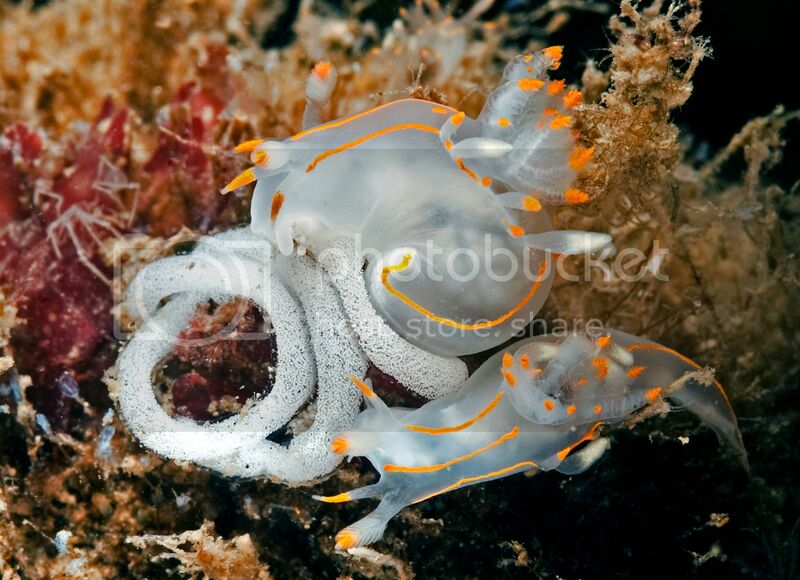 It was not only an Ancula gibbosa, but six of them, including a mating pair laying eggs. I fired off several shots, then returned to the surface. I guess it was one of those terrible, dirty, lousy dives that I come back smiling from. 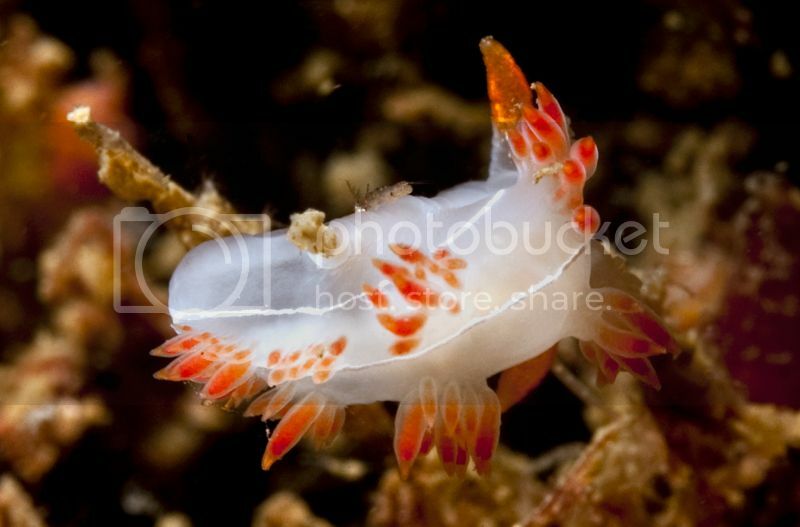 Flabellina trilineata in the process of a bowel movement. 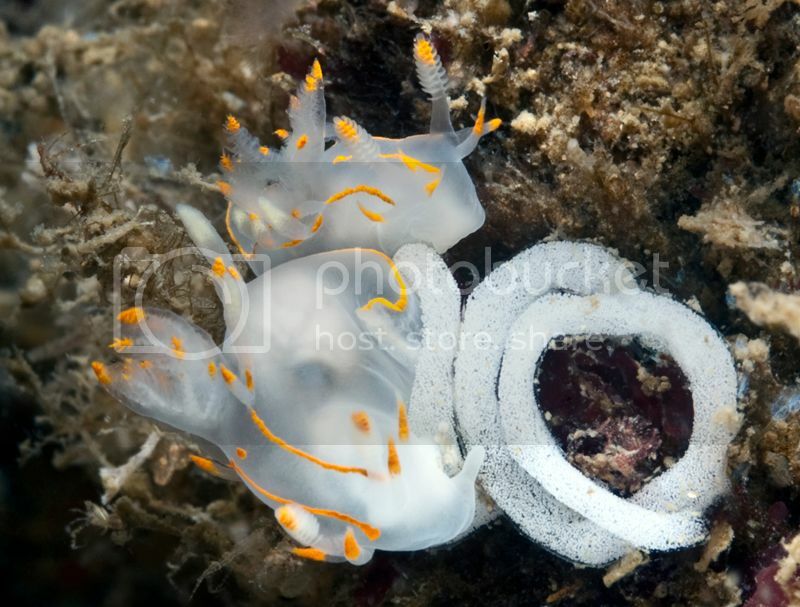 A small critter rests on the nudi's side, perhaps the famous Peninsula Poop Pouncer.